With cutting edge design suitable for the modern day parent, the MB200 Pushchair from My Babiie features a lightweight but strong aluminium chassis which is easy to push even with one hand. The MB200’s multi-position backrest comes complete with padded seat insert cushion and can be made to lie completely flat, making it suitable form birth and a fantastic every day stroller. The large extendable hood does a great job of shielding your little one against the sun and wind, and the stroller comes with a raincover for any downpours. Other little extras that come included are in the form of a handy drinks holder, removable bumper bar and a cosy footmuff for when you are venturing out into colder conditions. Benefiting from one-hand easy-fold technology, the MB200 is a doddle to fold down and is wonderfully compact once folded. 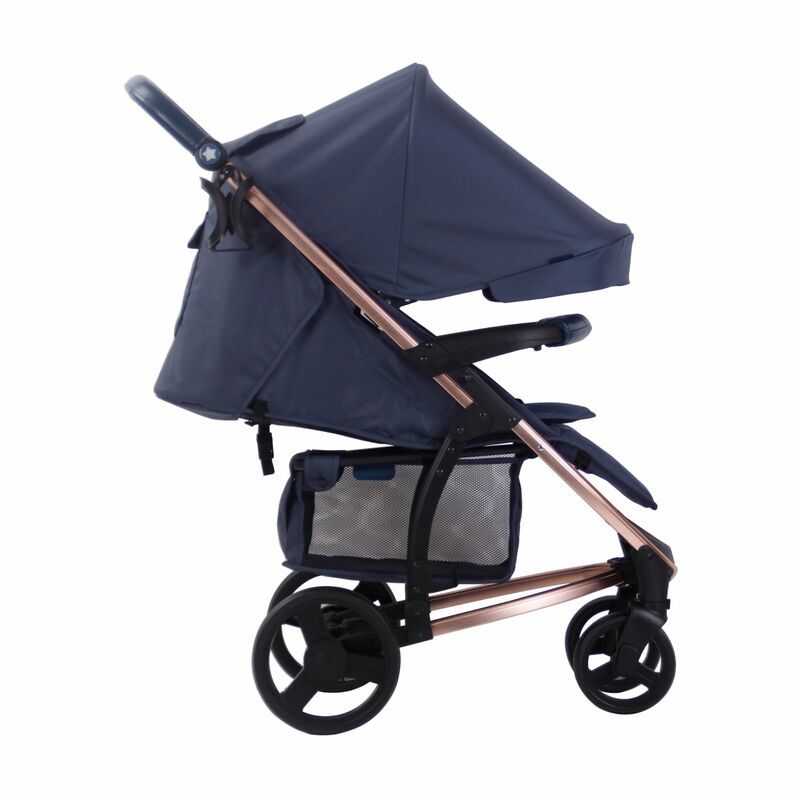 For further convenience, the front and rear wheels are also detachable and the fabrics are all wipe-clean to keep the stroller looking its best. 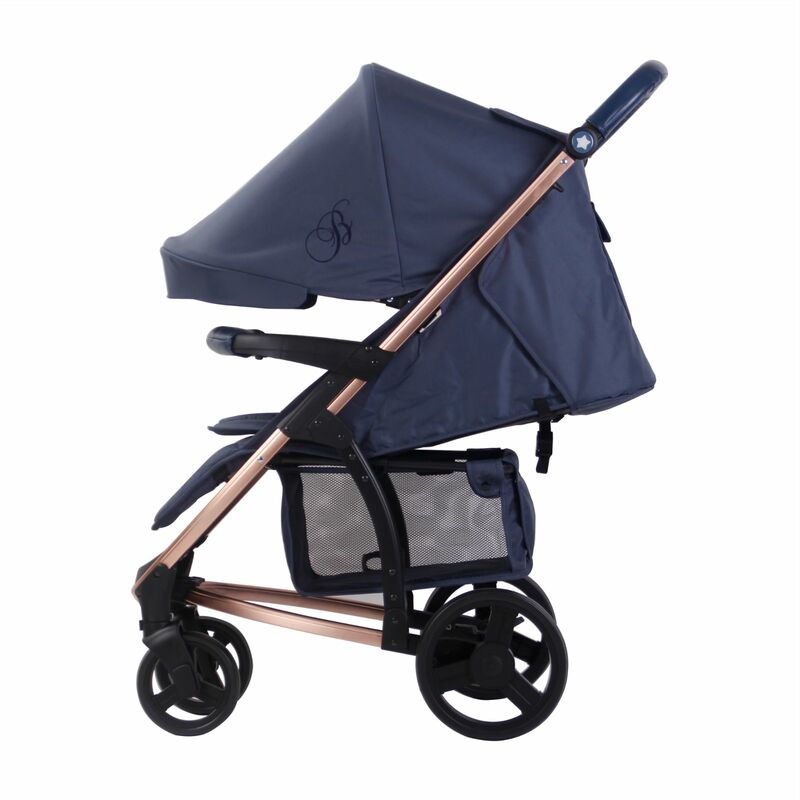 Designed in collaboration with celebrity Mum Billie Faiers, the ‘Rose Gold & Navy’ design is bold yet contemporary; using classical colours for a stylish and exquisite end result. 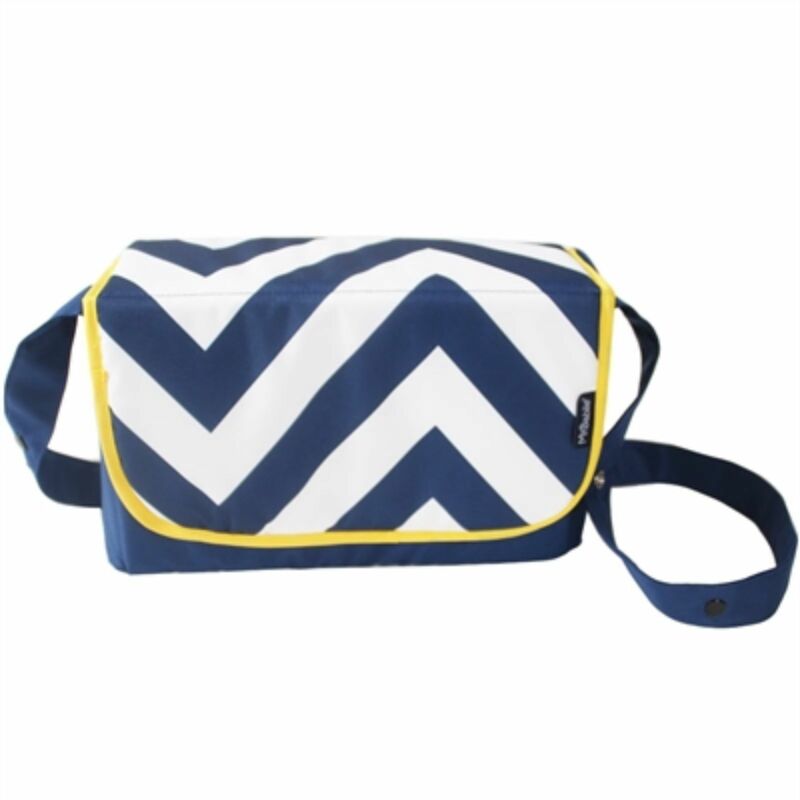 Stylish and practical, the messenger-style Changing Bag offers a durable shoulder strap and plenty of internal space for all your baby’s necessities. The changing bag also cleverly unzips out completely flat so that it doubles as a padded changing mat; ideal for hygienically changing nappies when you are on the go!